Antipsychotics can be classified as typical or atypical. There are very few reasons now where a typical would be used in preference to an atypical in first line treatment. Atypical antipsychotic medications generally have fewer side effects and are as effective (clozapine is more effective than most of the older antipsychotics). The antidepressants that would be used as a first line agent would usually be a selective serotonin re-uptake inhibitor (SSRI), venlafaxine or mirtazapine. The choice would be determined by the symptoms of the patients and the side-effect profile that would be tolerable. At times, a side effect of a medication may be used as an advantage. See the antidepressant matrix for a single page overview. 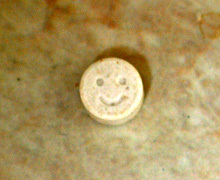 Furthermore see the list of antidepressants available in Australia. the dose can be increased to at least 2 tablets daily (though there is no “rule of thumb” of the maximum safe daily dose – each drug is different). If venepuncture from a limb vein is difficult or impossible, blood collection from the external jugular vein is an option to consider. 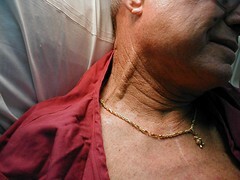 Usually, the external jugular vein is large large vessel and it is a fairly easy process. I personally do not like blood collection from the external jugular vein as it is a “gruesome” process (insofar as putting a needle into someone’s neck) and there is the (small) risk of hitting the common carotid artery. Most patients don’t like the idea very much either. Nevertheless, there are a group of patients who prefer bloods to be taken from the external jugular. In Sydney, the ex-IVDU patients who require frequent blood tests (but have extremely poor venous access) seem to like it. Normally, I would preferentially collect blood via the radial artery but the advantage with the external jugular vein is that it is easier to collect large volumes of blood and it is less “fiddly”. The most commonly used antidepressants are the SSRIs (selective serotonin re-uptake inhibitors), venlafaxine and mirtazapine. These antidepressants are generally the first line agents. 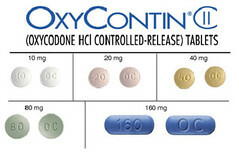 This is mainly because of their lower side effect profile and safety in overdose. TCAs are dangerous in overdose, with severe anticholingeric effects, confusion, and significant cardiac toxicity with tachycardia and conduction abnormalities. However you may still find older patients or resistant patients on these medications. They are also used commonly as an adjunct for chronic pain conditions. MAOI are more rarely prescribed due to stringent dietary restrictions (anything with tyramine – “the good stuff” such as wine, chocolate and cheese). Usually they are prescribed in patients with severe depression where other antidepressants have been used unsuccessfully. Although RIMAs are much better tolerated, they are not usually first line therapy and have been found to be relatively less effective as antidepressants. Blood collection from the radial artery is safe, effective and quick. Learn how to do it and use it in those patients with poor venous access. It is a superficial artery that is easy to palpate. It is a reasonable large bore vessel (e.g., some interventional cardiologists now routinely do their angiograms by feeding the catheter through the radial artery rather than femoral). It isn’t an “end” artery – in most people, the radial and ulnar arteries anastomose to form the deep palmar arterial arch. That means, both ulnar and radial arteries can usually completely supply the hand in isolation. You have two hands – usually at least one radial artery is easy to sample. If you can take an arterial blood gas from the radial artery, then you should be able to collect blood for other blood tests. Complete and fax to (02) 6124 7820.
now the opiate seeker’s choice. the wax and then injected. It is a sad state of affairs, but you will not have to work in the emergency department or in general practice for very long before you see a stream of patients coming through asking for opiates and/or benzodiazepines. Your best policy (which often will be the practice and ED policy) is not to prescribe either of these agents to new patients. No matter how clever you think you are, where will be patients who are smarter. They will have honed the practice of getting opiates and benzos out of doctors to a fine art. I certainly have been duped more than once; and it is going to be the patients who you don’t think of who will get the better of you. You are not helping your patients by feeding their opiate and benzodiazepine dependence. This is an index page linking a series of articles on alternatives to venepuncture. Blood collection is the bane of every intern. However, there are many tricks that you can utilise and once you become skilled at it, believe it or not, you may find yourself enjoying the challenge of a difficult venepuncture. Now, just about anyone can stick a needle into a vein and draw back some blood. The question is what you do when you cannot see a single reasonable vein on any accessible limb? This occurs with alarming regularity in hospital, especially with oncology and renal patients who happen to require regular blood tests. What you need to do is to break the mindset that the only way you can get blood is by sticking a needle into the lumen of a vein. Arguably, this is the best option for the majority of your patients, but chasing a non-existent vein is not a game that you or your patient finds entertaining. I now have a mix of pity and sense of superiority when I see an intern stressed over a very difficult venepuncture. The books talk about complicated ritualistic techniques such as using a sphygmomanometer cuff to cut circulation to the limb for a few minutes and then taking advantage of the vasodilatation on release. My opinion is that this is mostly nonsense. If an experienced hospital phlebotomist (who literally takes dozens of blood tests each day for a living) cannot get venous blood, it is unlikely that you will either (unless you go for veins he or she dare not touch like the femoral vein or external jugular vein). 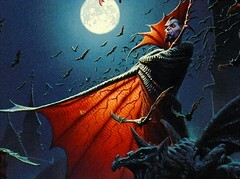 The following are a collection of methods outside the realms of “normal” blood collecting. They are all pretty safe and effective. 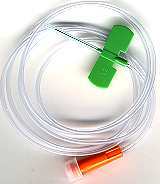 Bloods can almost always be collected from a new cannula as long as you remember and can often be collected from an old one. Subcutaneous fluids (i.e., parental fluid hydration through a subcutaneous line) is a fantastic option in some patients, especially those with mild dehydration, with difficult venous access or the elderly with agitation, be it from delirium or dementia. Remember that a subcutaneous line can also be used for many medications (e.g., morphine, midazolam). Unlike intravenous cannulation, there isn’t usually a problem with “access” with a subcutaneous line and most nursing staff are qualified in their insertion. Fluids through a subcutaneous line in the intrascapular area is most useful in the delirious/combative elderly patient with poor oral intake. Running 500-1000 mL of 0.9% NaCl solution overnight will help prevent dehydration.